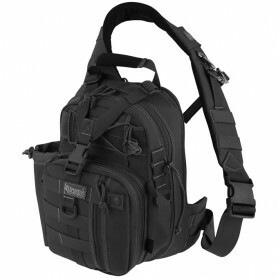 The Maxpedition Fatboy Versipack is more than a durable, ergonomic shoulder sling pack; it is the state-of-the-art portable gear organizer that provides secured containment and rapid accessibility of all your geocaching equipment. The versatile main compartment has a huge 156 cu. in. of space with a water-resistant storm collar that can be secured with a cord-locked drawstring. 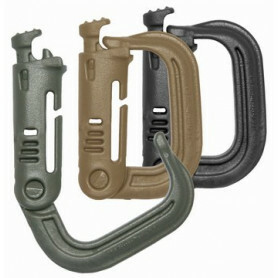 An array of external pouches let you store individual pieces of gear or swag items while two sets of nylon webbing anchors accommodate MAXPEDITION's modular expansion accessories. 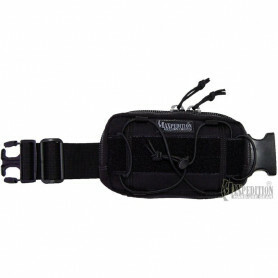 It also has a 2" wide Velcro loop patch on the front lidEach Fatboy comes with a tactile non-slip shoulder pad providing great comfort during extended use. 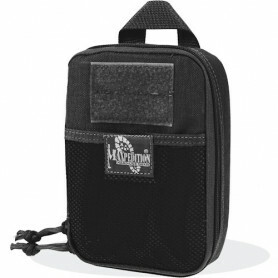 Rear Compartment: 20 cm (L) x 19 cm (W) with loop Velcro patches to accommodate additional Accessories. Side B (sheath): 4 cm (L) x 2,5 cm (W) x 12,5 cm (H), the length of sheath lid is adjustable with internal Velcro attachment for longer item or are completely removable. Shoulder : Integral 5 cm strap (min 76 cm strap alone / max 127 cm strap alone ; min 101 cm loop / max 152 cm loop) with 5 cm non-slip shoulder pad.